^Speaking of, that's why I never beat Pikmin. Anodyne is basically Link's Awakening if that game was much darker. This guy starts out looking like the face-in-the-floor boss from LA, and he's the boss of a living dungeon surrounded by faceless fleshy-giraffe things. 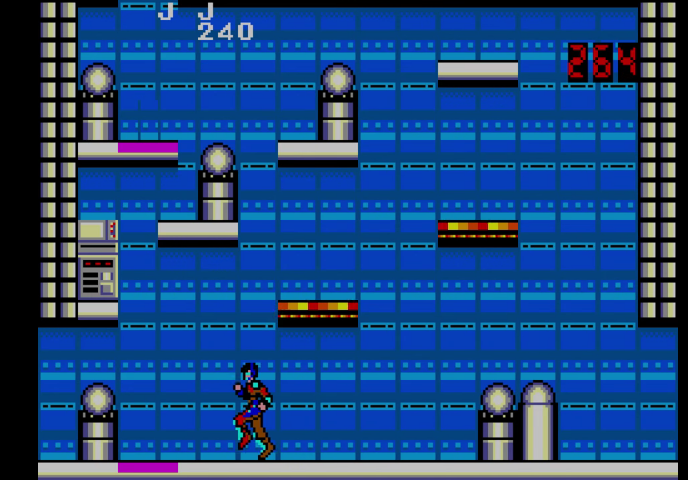 You keep playing this "metroidvania" like game for hours, it doesn't have a save or password to continue it later. Then you enter a self-destruct code on a computer at the end of the game, it gives you 300 seconds to beat the final boss and leave the entire base before everything blows up. Kasuto is unlike any other town in the game. The sky is dark, most of the buildings are decrepit and damaged, the hostile area music plays instead of the usual town music, and there are no people to be found apart from a single old man hidden in a building. What's more, the moment you step into the town you will find yourself being struck and damaged by unseen foes. Only once you've found the Cross will you be able to see the Moas swarming the village. So you beat Master Hand in the first game, the screen goes white you feel pretty good for yourself. After this bit of sudden dissonance your character flops onto a desk and the camera slowly leaves the room, setting up the ambiguousness Smash Brothers plot that doesn't mean diddly squat. But don't lie that ending song was unsettling. Sega Master System golden era. This boss was real hard at the time. In the base game, Sectoids are your introductory alien with almost no health and no notable defenses. In the Enemy Within expansion, Sectoids live the dream and become Mechtoids. The upgrade confers a 600% increase in health, boosts most stats to the highest or near-highest in the game, allows them to shoot twice per turn, and makes them so confident that they don't bother with cover. wtf sprite how is this even a scary thing? Hear me out, dangit. So a lot of people dislike some games for being too cryptic and mysterious and not giving them enough information on what you're supposed to do, but honestly, that's a big reason why I love Wind Waker so much. The Great Sea is so vast and full of secrets and danger that you can't help but feel a sense of unease while exploring it (especially at night). You get that fear of "the unknown" when you come across quiet, uninhabited islands, unsure of what they may be hiding. "You ought to come sail these seas on nights when the right half of the moon is missing... It'll give you the shivers, fry!" 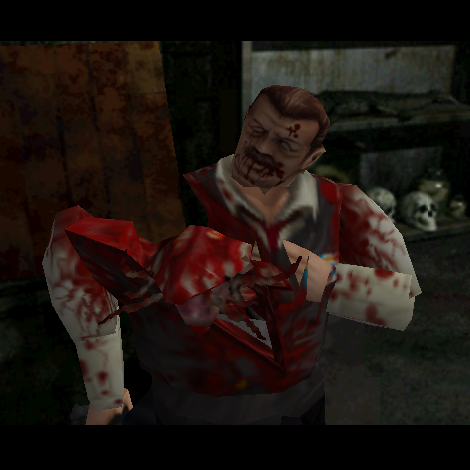 In the latter half of the game, Ben or Chief Irons (depending on who you chose to play as during Scenario A) will be attacked by William Birkin, which ends with a G-embryo being forced down their throat and into their bodies to incubate. Shortly after you meet the victim, the larva will burst out, ripping their torso apart in the process. Students who become ill during classes can visit the Malady Ward. Here a team of doctors supposedly works day and night caring for residents of the manor. No student in memory has been admitted for treatment. A cob-webbed sign reading 'APOLOGIES WE ARE CURRENTLY FULL' hangs on the door. Piles of burlap dummies fill the waiting room. The administrators rarely acknowledge complaints about the Malady Ward. "Our students should be grateful for their good health," they say. "and in any event the current patients are almost ready to rejoin the Edgewod community. Spoilered because it's fairly late game and also the sort of thing it's better to be surprised by. Hidden somewhere in the great maze of Madotsuki's dream world is a small house inhabited by a girl named Poniko. Visiting the house is entirely optional, and once you get there, there isn't much to do other than flip the light switch or stab Poniko to death. When you flip the switch however, there is a 1 in 64 chance that instead of turning off the lights, Poniko will turn into Uboa. When this happens you will be trapped inside the house, with your only option being to walk up to Uboa and touch him, transporting you to a bizarre black and white area. The only way out of there is to pinch yourself awake. This can be pretty freaky if you aren't expecting it. So, you've killed a voodoo demon and found a voodoo doll of the guide that gives you tutorials about how to play the game. At first, you can see it as an item that allows you to kill the guide, and if you throw it in lava the guide will die instantly. But... what if you throw it into lava in the Underworld, the same place that the voodoo demon makes its home? You get a generic warning about a boss before this comes right for you. 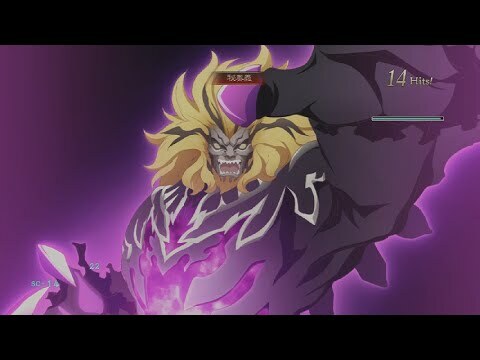 Maybe you don't find this scary but look at it from the angle of a new player who in the best case scenario was told to make a sacrifice in the Underworld to summon its lord. You're expecting an eyeball or something that will float about the Underworld for you to slash at. Not a wall coming to crush you. Also you better have a projectile weapon because you'll take tons of damage trying to touch this thing. Just sayiiiiiiiiing~. 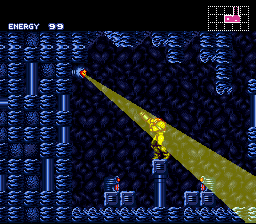 You hear metal crashing long before you encounter what's causing it, and the cacophony echoes throughout the entire level. The tentacles are immune to your weaponry at this point, and can kill you in a single strike. The only way to dispose of them is to ignite the rocket engine in the silo they inhabit, which means descending and later re-ascending the silo while trying to avoid being crushed to death by them. 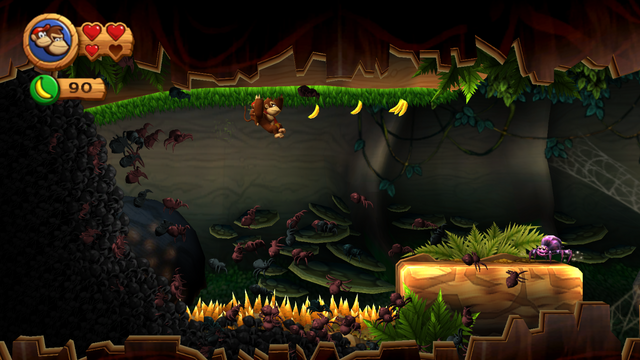 The Donkey Kong Country franchise is no stranger to deadly, advancing walls, but this time the wall is made of spiders. **** you, Retro. You first encounter one of these mysterious specters hovering through the corridors of the Chozo Ruins. In battle they're quick, strong, and attack in groups, as their unearthly screeching echoes through the room. After their first appearance they're just kind of an annoyance, though. After arriving Zebes, it's all dark inside Crateria. Then suddenly this surveillance eye opens and stares at you... and also does the face statues at the ground. Most of the characters in this game are either victims of cruelty to the point that they snap, or mass murderers... but a survivor of the Vietnamese War who had to eat his friend to survive? Realize that most of the stories in this game are a little silly if you look at them long enough. A Boxer who gets his eyes, ears, and mouth stitched shut because the doctor lost a bet on him? A little extreme, as is a clown with a flaming head so it's kind of funny in a dark way. But Mr. Grimm's story has none of that. And even the ending cutscene feels dark as he decides to embrace the cannibal he was forced to become all those years ago. There are other character's whose story ends on a sour note, but in this one he gets what he wants, but maybe it's not what the player really wants. Unless you like cannibalism.